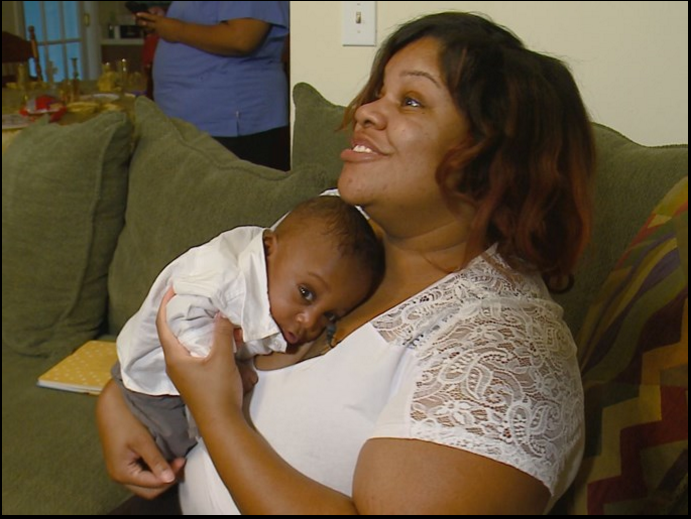 A premature baby born in North Carolina is finally home after spending 127 days in the neonatal intensive care unit. Amari was born in February at 24 weeks after complications with preeclampsia caused mother Rodericka Moore to deliver four months early. Weighing just 15 ounces and barely the size of a smartphone, Amari’s chances of surviving the first 24 hours were slim. “They never said he was going to be okay. There were like, we have to prepare you for the worst” said Moore. Despite the uncertainty of the doctors, Moore hoped for the best for Amari. “I was like, you’re going to make it because God wouldn’t do that to me,” Moore said. During time in the neonatal intensive care unit, Amari survived four hernia surgeries and two bouts of pneumonia. Now, at eight months old, Amari is home and doing well. “I didn’t think a 15 ounce baby had hope. I didn’t think a 15 ounce baby could be normal, could come home on no oxygen and no feeding tubes,” Moore said.